NERD RAGE AGAINST THE MACHINE! 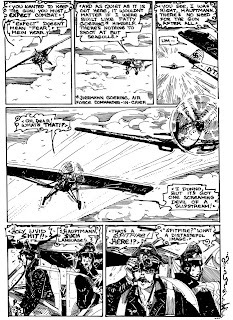 : The League of Extrordinary Bloggers- Comic Books. So I just got the new league assignment it's a simple on I guess. Two words, COMIC BOOKS. Now what to do with them. It's easy to talk about a myriad of comics, I have been a fan as so many here have for most of my life. from the glory days of Spiderman and the Sinister Six, to the Spectral Lanterns and the New 52, which pretty much put me off of the whole Marvel/DC vibe. Sure I could wax nostaligic about Warren Ellis' incredible Transmetropolitan, or Judd Winnick's Barry Ween: Boy Genius, Or even put up something about comics from other countries, Like Lise Meyr's Nemi, Judge Dredd, Hub's Okko, or even classics like the Beano (I always preferred Whoopie for Sweeny Toddler!) or Asterix. 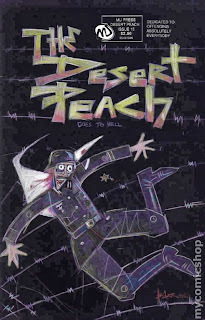 But Let's instead talk about a comic that really got me thinking about the medium as an art form one of the first real big jumps out of the superhero comfort zone, and for me that book is Donna Barr's Desert Peach. I was in high school when I first heard of this book. I had first been introduced through a magazine called Amazing Heroes- More specifically, the Swimsuit specials, Amazing Heroes had artists draw comic characters in bathing suits before Marvel did as kind of a geek fanboy answer to the only issues of sports illustrated most of us would buy. 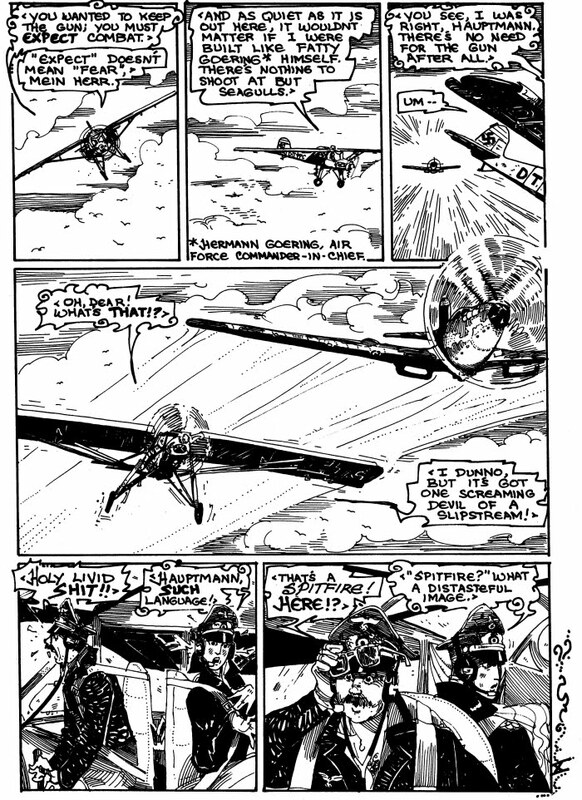 Beyond the titillation of Phantom Lady, or Super Girl in less clothing than they normally wore (what do you want I was a hormonal teenager at the time and yeah that really appealed to me at the time!) 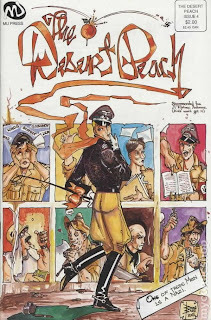 Nestled in this first issue was a one page talking about the Desert Peach, Erwin "the Desert Fox" Rommel's gay brother, and the misadventures of his company. 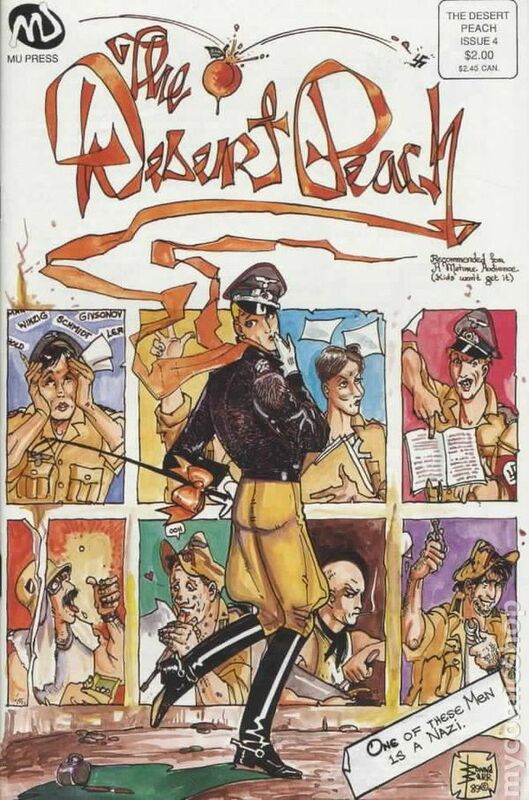 As a red blooded American teenager with less sense than prejudgement, the idea of a comic glorifying gay Nazis sickened me. "The guy who writes this sick stuff should be horse whipped!" Then I looked again, and actually read the entry. There was more here than just some perverse fanfic as I may have earlier suspected, including the fact that the guy who wrote it is actually a gal! It looked to be genuinely interesting. So I picked up the first issue with trepidation and read. In short totally worth it. The book is about the 351st Gravedigging and support Battalion in deed lead by Manfred "Pfrisch" Rommel, henceforth to be known as the Desert Peach. His platoon is a company of slackers and stray dogs who make for an interesting group but are not evil Nazis, but simply Germans (and a few Non Germans) who are in the army doing their jobs. It is far more about misfits in the military than any kind of glorification any taboos. The other crew are some incredible characters, CPL Udo Schmidt, who is the Peach's Valet, is your typical everyman slacker, and the only actual member of the Nazi Party, He joined as a kid, but not because he believes in Hitler, or his revolution, they were buying the beer! We also have Doberman, a crazy pill popping soldier, who has a pet anti tank mine (No he's not all there, why do you ask?) Major Raushling, the ever suffering camp manager, and Lt Winnzeig who is a tin plated Schastika wearing jackass loyalty officer, who is not a part of the Nazi Party, because where he comes from, they had to pay dues. There is even an American POW who edit's the camp's news letter, and makes the occasional escape attempt. Bubba Shelby Waxes Nostalgic about Plastic Man! Fortune and Glory (days) talks about the Man of Steel! Yelena goes through the gammut of comics!